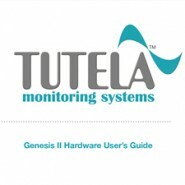 “Tutela USA has used SNAP marketing extensively. We approached SNAP with the challenge to grow Tutela’s brand awareness in the US. While that may seem like an easy task it was not. It required that SNAP immerse themselves in the intricacies of our products as well as the needs of the market that our products serve. It was essential that they understand how our unique product offering differentiated Tutela from the large competitive market place we compete in. With SNAP we created a customized program that focused on the benefits of Tutela’s solution that enabled the prospect and potential client to understand how we helped improve the efficiencies of their company. In essence our solution became a strategic partnership for our prospects/clients.